Morgans are renowned for being a "thinking" horse, with laid-back natures and Paprika fits this description perfectly. Nothing fazes this mare. Her foals will be suitable for Trail and western disciplines, as they have a lovely smooth way of going. Paprika has been shown at the National Morgan Show and locally on the Darling Downs and has won her halter classes with ease. She has also been lightly started and her movement is ideal for the western horse. She is as smooth as glass to ride. This lovely chestnut mare carries the agouti gene (ee Aa) and thus her foals with Cortez will be black, bay, buckskin or smokey black. With Ragtime Oro Blanco she will produce palomino, buckskin, or smokey black. Paprika is the typical Morgan. Her super gentle temperament is such that she would make the perfect child's mount. Paprika is just 14'2hh, but she is producing foals that well exceed her height. 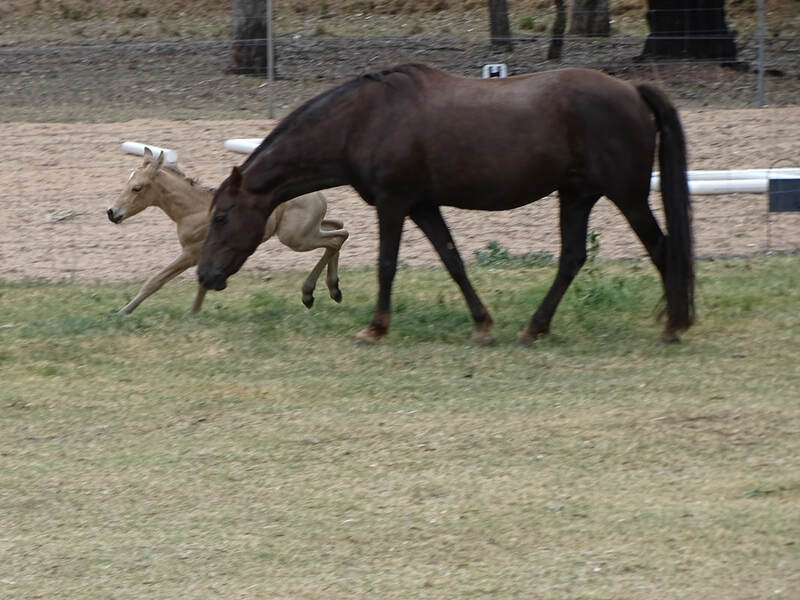 Paprika produces super quality foals that have a length of stride and easy going lope that looks extremely comfortable. Paprika has produced babies that are maturing 15hh and above.